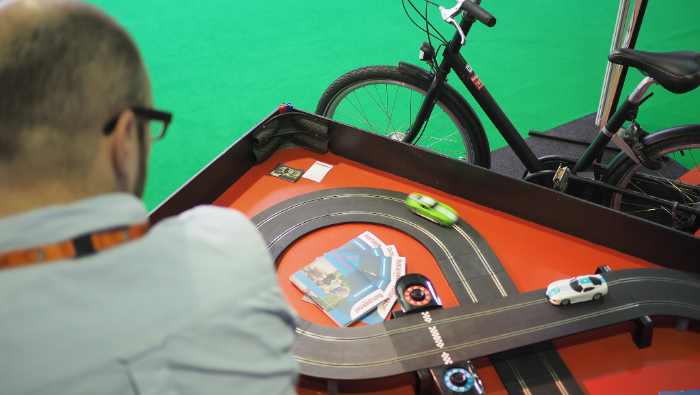 Using a scalextric racing track, we take this classic game and give it a whole new experience by using bikes to control and power the cars around the track. Going head-to-head, riders need skill as well as power to win the race and top our leader board. 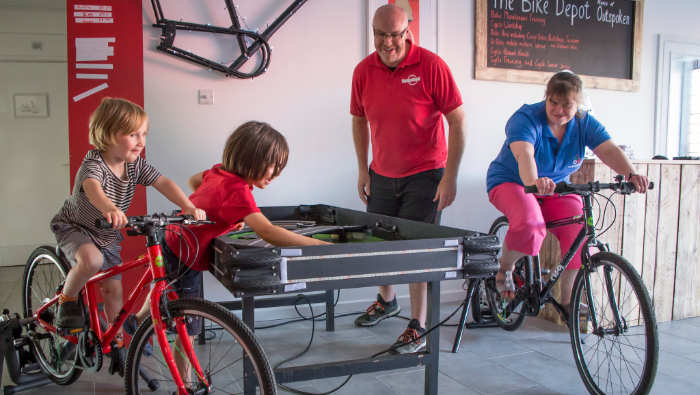 With variable levels of resistance, the activity is suitable for both children and adults. We can also dial the resistance down for corporate events where you might not want your guests to get to hot. 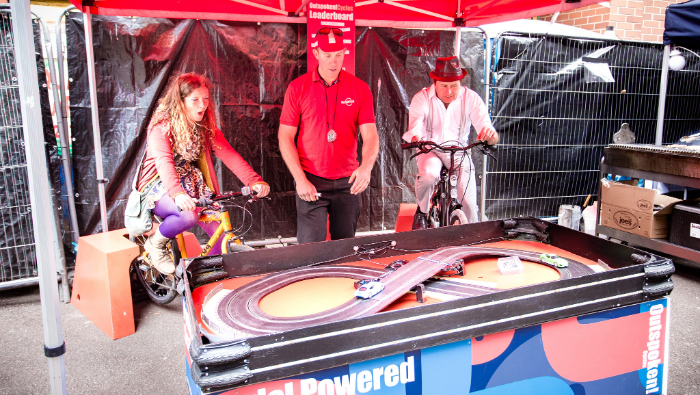 The activity is great for active travel and team building days, and perfectly suited to prizes so it can get very, very competitive! 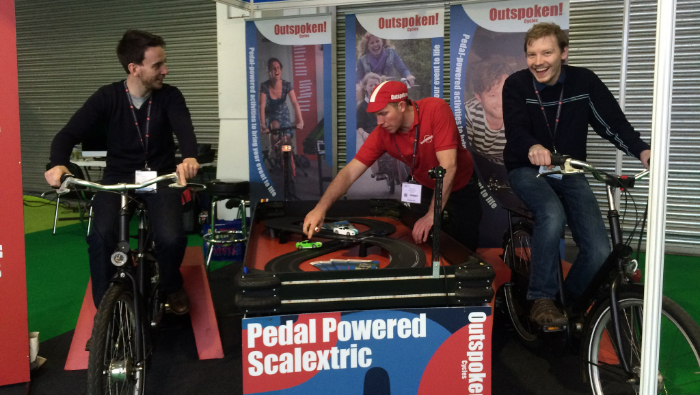 It’s also great fun for both indoor and outdoor events with no need for external power – everything is pedal powered! 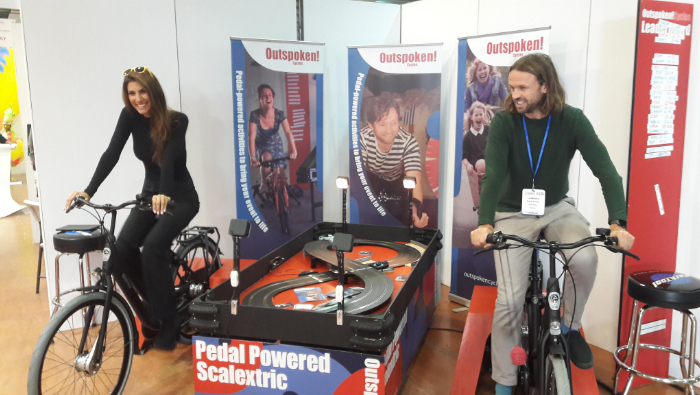 For more photos of the Pedal Powered Scalextrics visit our Flickr page.